Even though I am a collector of wildlife and western art, my eye is always drawn to interesting new art concepts. Low and behold even the iconic Airstream travel trailer made it to the modern art era. 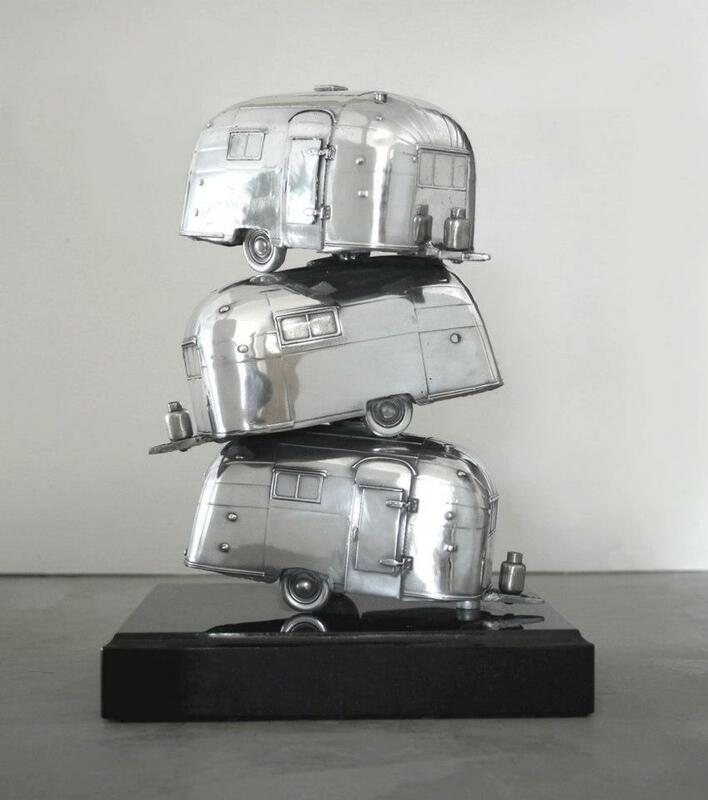 Airstreams are an art form unto themselves so, it was natural for an artist to turn the Airstream into a sculpture. “Three Cans” as seen below was created by artist Christopher Schulz, American born sculptor: ” Christopher can take the abstract and complex, and refine it until it exists as pure form.” Christopher Schulz is represented by Christian Hohmann Fine Art, a contemporary fine art gallery in Palm Desert, California. The gallery specializes in European and US art with a strong emphasis on Figurative Art. I just adore this piece! I agree Matt!!! I’m nuts about all things Airstream!